The programme is offered under two options. All participants must complete the four-week intensive period of participatory learning (in residence) at the Cave Hill Campus and project. Under option 1, participants will complete the requirements of the course at the end of the four-week period. Under option 2, participants will be required to return to present their research projects after a six week period of field work/research. Option 2 costs may include additional airfare and accommodation or participants may present their final projects via videoconferencing. The programme introduces participants to theoretical and methodological approaches to the issue of gender relations. It examines the differential impact of unequal relations of gender and how these relations affect the process of social change. It seeks to empower participants to transform their communities and to enhance their capacity to contribute to the process of changing their societies. Study Gender & Development in the Caribbean with a diverse group of activists, artists, scholars, students and public and private sector employees. 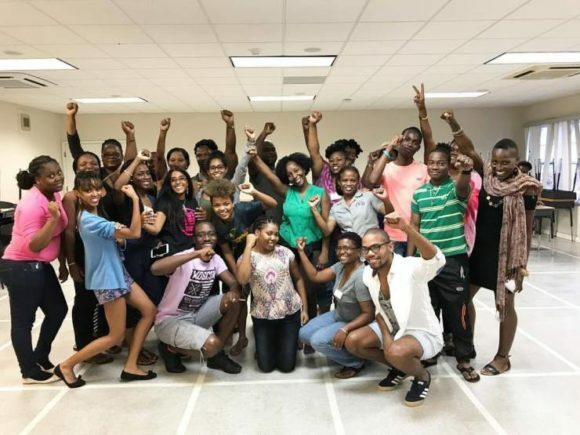 Caribbean Institute in Gender & Development alumni are a diverse group in terms of age, nationality, language, activism, educational and professional background, religion, gender identity and sexuality. These include farmers, police officers, university professors, students, social workers, teachers, lesbian, gay, bisexual and transgender activists, attorneys-at-law, magistrates, staff of UNIFEM (now UN Women), members of women’s organisations, Senior Staff and Directors of Women and Gender Bureaux, religious and trade union leaders and journalists from across the Eastern Caribbean, the Spanish-speaking Caribbean, Haiti, the Bahamas, Belize, Guyana, Trinidad & Tobago, Jamaica, US and Canada. Engage with some of the Caribbean’s finest scholars, activists and practitioners. Programme facilitators are drawn from scholar and activist communities from across the Caribbean and the diaspora. Past facilitators include Professor Eudine Barriteau, Principal and Pro-Vice Chancellor of the University of the West Indies, Cave Hill Campus, Dr. Gabrielle Hosein, feminist scholar-activist and inventor of the life-size board game, Steppin Up: A Feminist Movement-Building game, Dr. Alissa Trotz, Director of Caribbean Studies Programme at the University of Toronto, Ms. VernaSt.Rose-Greaves, social worker, former senator and former Minister of Gender, Youth and Child Development in Trinidad & Tobago and Andaiye, one of the founders of Guyana’s multiracial women’s organisation, Red Thread. Facilitators are also drawn from such organisations as the Caribbean Policy Development Centre, the Caribbean Association for Feminist Research and Action, the Caribbean Development Bank and UN Women. Immerse yourself in action research aimed at responding to the needs of the region. Caribbean Institute in Gender & Development alumni have produced a documentary on gender and sexuality in Belize, implemented educational projects for male inmates in correctional facilities in Antigua & Barbuda and started community organisations based on their research and experiences during the programme. Learn more about past projects here. For more information about the program, and information on requirements and fees, click here.